feature(‘HotLinks’) can be used to temporarily disable hyperlinks and other markups in the Matlab console. MathWorks is soliciting user feedbacks about the use of Java components in Matlab programs. Additional meta-data about installed toolboxes can be retrieved in Matlab. Undocumented Mex functions can be used to extract the state of Matlab warnings in run-time. The parfor (parallel for) loops can be made faster using a few simple tips. Matlab zoom, pan and rotate3d modes hijack the user’s figure callbacks, but this can be overridden. 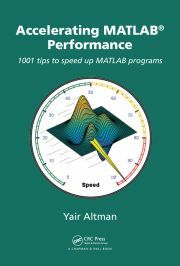 It is easy and very useful to attach dynamic properties to Matlab graphics objects in run-time. Matlab’s dual internal serialization/deserialization functions can be used to create duplicates of any object. Matlab data can be serialized and saved into a ZIP/GZIP file, and loaded back.